The World AIDS Museum (WAM) has selected our very own Jasmin Shirley to receive its ‘Unity in Diversity’ award. Jasmine has been a true and dedicated warrior in the fight against HIV/AIDS. As Senior Vice President of Broward Health Community Health Services, Jasmin provided unwavering dedication and continuous support in communities affected by HIV/AIDS by providing a pathway to quality healthcare to the most vulnerable. 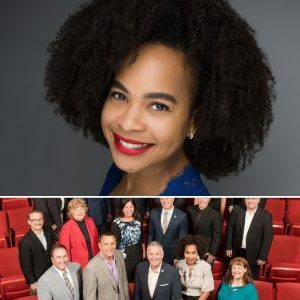 Yvette DuBose has been recognized by Good News South Florida Media Publication, along with 30+ other CEOs for her amazing and compassionate advocacy and non profit work for children in need of forever families. Yvette is not only the youngest but also the only African American woman CEO to hold this position at The Heart Gallery of Broward County. The Heart Gallery of Broward County is a traveling photography exhibit of foster children who are waiting to be permanently adopted. The Gallery is unique: in concept- it is displayed in many public places just like an art exhibit- and in execution- every photograph is a vibrant composition taken by a professional photographer. Yvette’s work at The Heart Gallery raises awareness of this major need and draws the community together to help solve it. Broward County Administrator Bertha Henry was presented with an historic award. 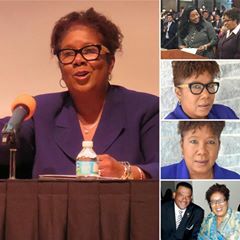 ICM, the International City/County Management Association, selected Mrs. Bertha Watson Henry as the 2017 recipient of the Mark E. Keane Memorial Award for Excellence. 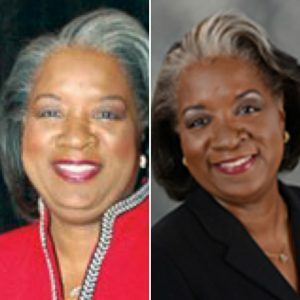 The award is named for a former ICMA director recognized “for furthering the concept of the democratic ideal in local government.” According to ICMA, only a handful of women have ever received this coveted recognition in the history of the organization. Bertha is the first African-American woman to receive this award which was presented at the ICMA annual meeting. 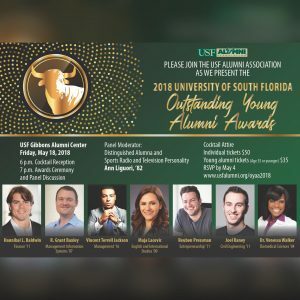 Dr. Venessa Walker is one of the recipients of University of South Florida’s 2018 Outstanding Young Alumni Award.